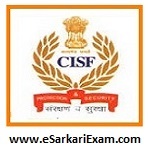 Eligible Candidates can Download CISF Constable Written Result at the Official Website of CISF. Applicants First Logon to CISF Official Website. Open List of Qualified Candidates for Medical Exam for Constable/Tradesman 2017 Link at Home Page. Check & Download Result By using Roll No., Name, DOB.